Health & Safety is the most important part of our work at Anston Pest Control, not only for ourselves, but also that of our clients and clients staff and families. Treatments are carried out by professional pest controllers because successful treatments require a high degree of knowledge of biology, habits, habitats and control methods. This is knowledge that only a professionally qualified pest controller will have gained as a result of training and experience. Qualifications, Training and membership of Professional Bodies is very important when it comes to good pest control to ensure our clients safety and quality of service. Pests can endanger health, contaminate food and the environment, pests can damage property, stock and buildings, so you must use a qualified person to ensure safe and permanent removal of pests. Here at Anston Pest Control we continually update our professional knowledge, competence and H & S training to ensure we offer our clients the best possible service. Below you can view our qualification and memberships this ensures you will be dealing with a professional and qualified company for your piece of mind. You can also download specific product data sheets, if you require any further information please contact us direct on 07969 329 396, we look forward to working with you soon. We are professionally accredited and trained by leading governing bodies from health & safety standards to the safe, efficient and humane use of pesticides. 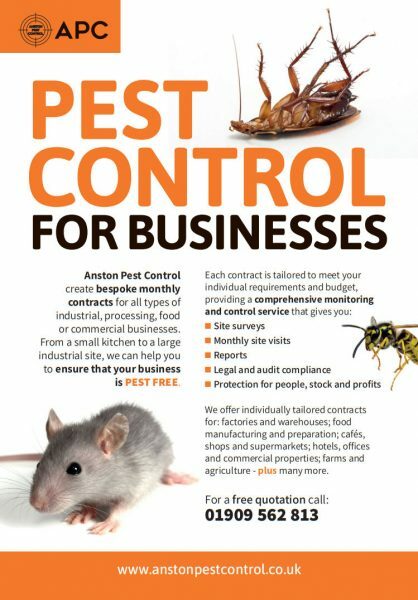 This gives you the confidence that Anston Pest Control will always provide you with the best service possible. We commit to the ongoing professional development of our technicians. if you require any further information please contact us direct on 07969 329 396 we look forward to working with you soon.